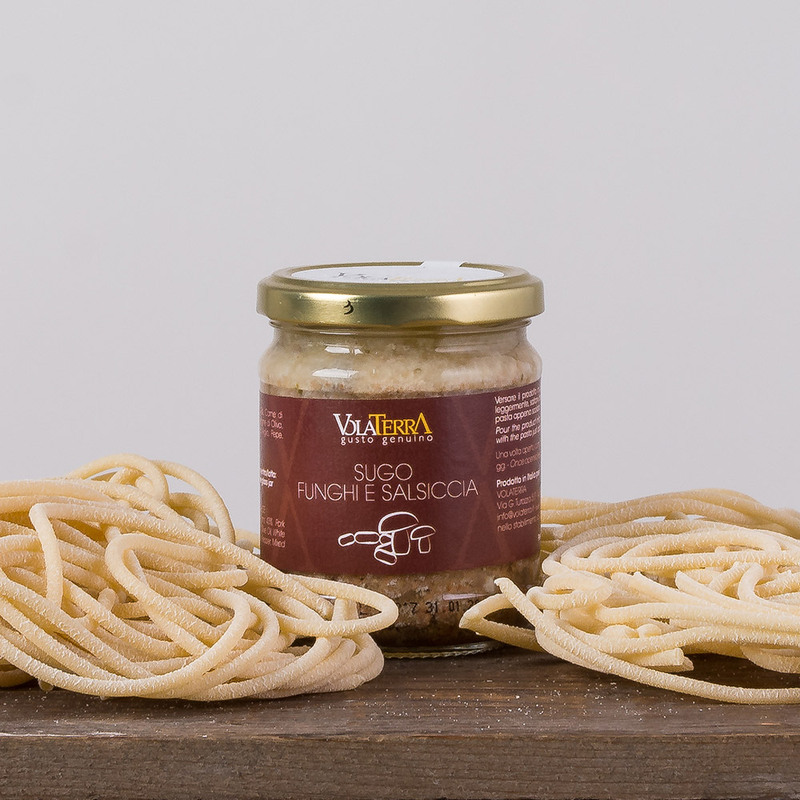 One of the most typical Tuscan ragu! The wild boar has always been one of the residents of our country sides. On this majestic animal, many stories have been told that fomented its fascination, not only culinary, but also as a real symbol of the wild life and of the strength of nature. As a consequence of the secular cohabitation with this wild species, the wild boar meat results the Absolut protagonist of the Tuscan cuisine. 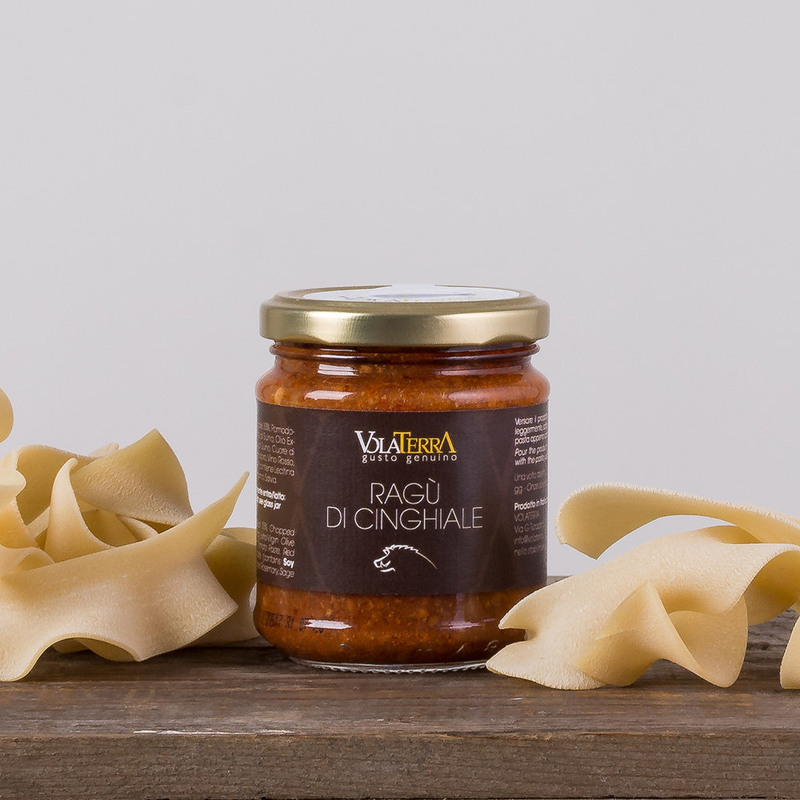 Next to salumi (cured meats) and stews typical, people traditionally prepare the tasty and highly appreciated Wild boar ragu. 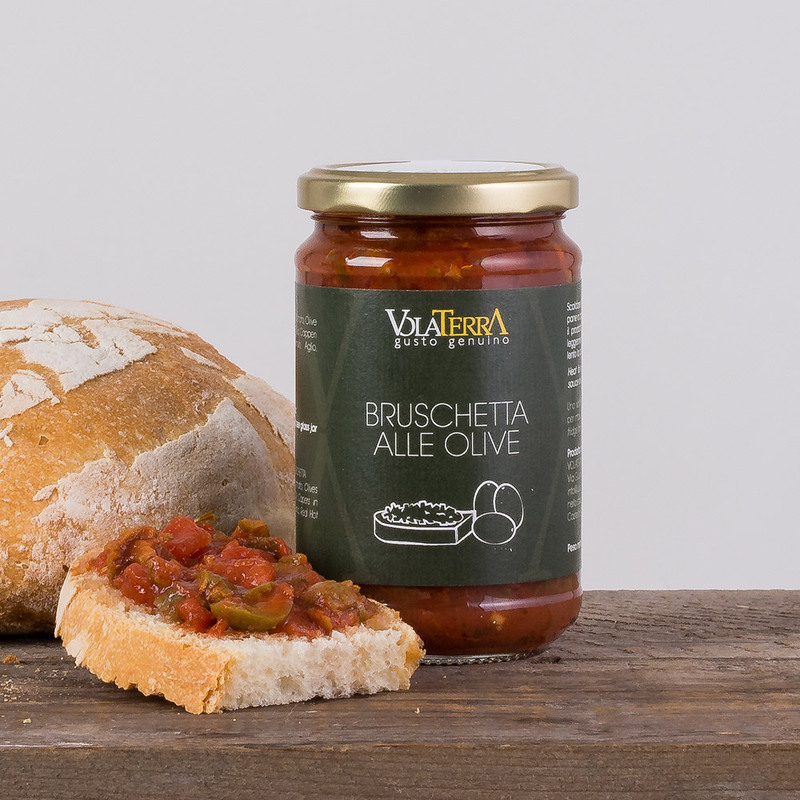 Therefore, given our deep passion for everything that is tradition, this product could not miss in the range of products branded Volaterra. 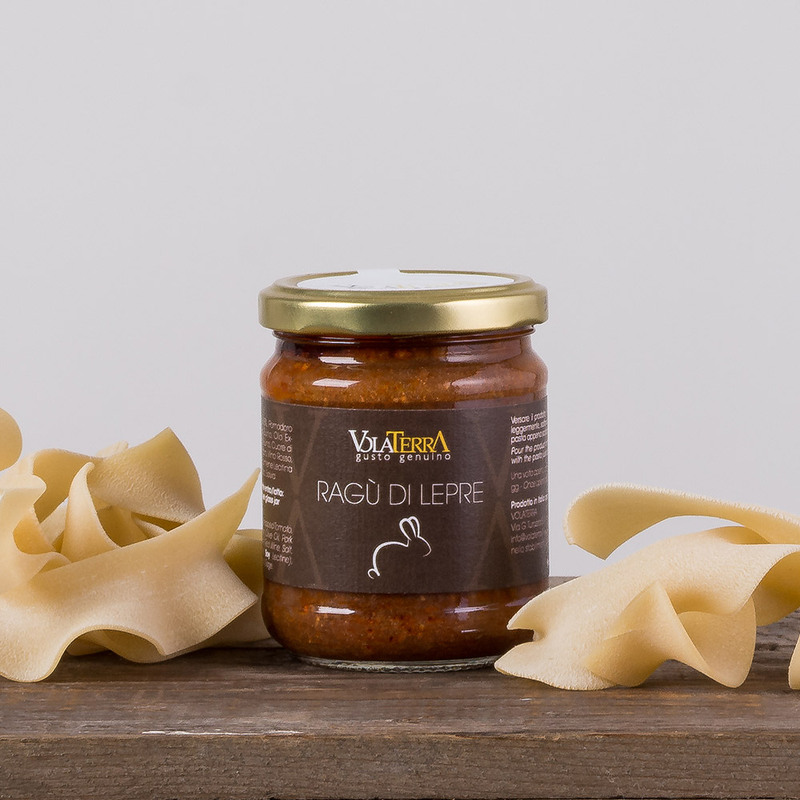 The ideal pasta for the wild boar ragu, has always been the pappardelle pasta, even if this ragu, being so good, can be used with any type of pasta. In order to truly taste a typical Tuscan dish, you have to fill a bowl with a plate of Wild boar pappardelle and a glass of full-bodied red wine from our areas, maybe a good Chianti. What else to say? Enjoy your meal! 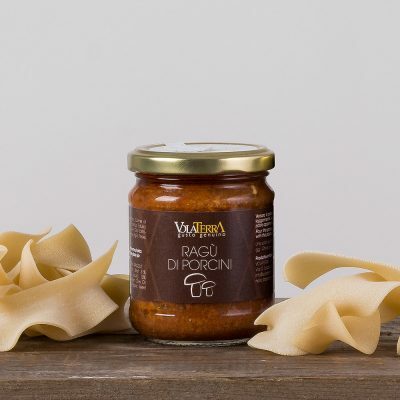 Ingredients: Wild boar meat 33%, Tomatoes cut into cubes, Onions, Pork meat, Extra-virgin olive oil, pork liver, pork’s heart, tomato concentrate, red wine, dark chocolate (contains soya lecithin) Garlic, Pepper, Rosemary, Sage.